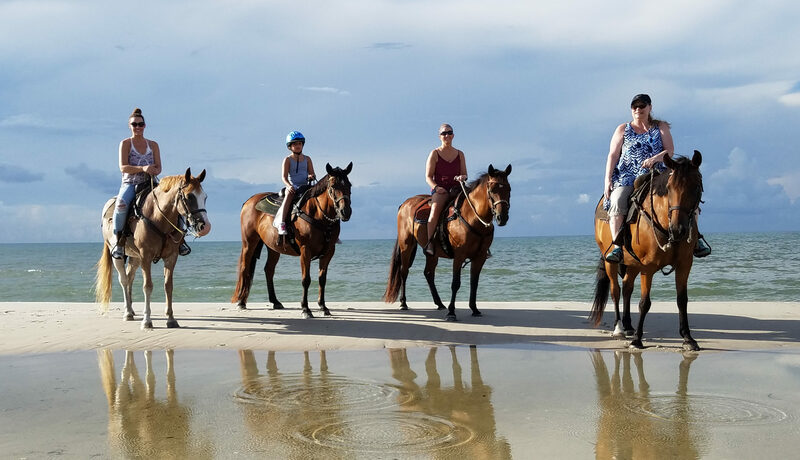 We have been offering horseback riding on the beach on Cape San Blas for seventeen years and our family has been involved in the equine industry recorded all the way back to 1870. We take pride in having healthy, happy horses. We believe that happy horses make happy beach rides. 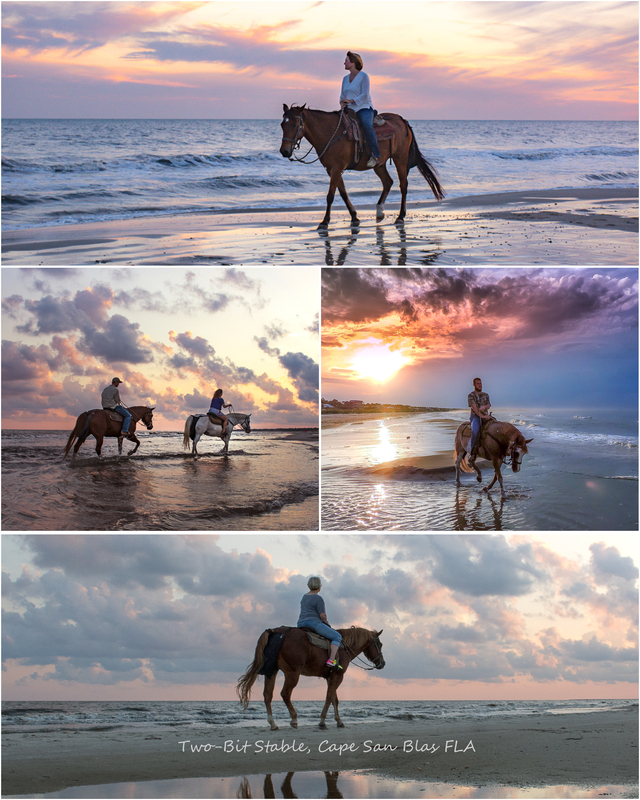 All of our beach horses are patiently trained exclusively for horseback riding on the beach. They are selected for their temperament, consistency and enjoyment of doing their job. Our farm is located nine miles inland on eight acres with a giant horse barn. Each horse has their own comfy stall with a fan for when its hot. They also have pastures to lounge and play in when they feel like it.